We Aussies are fond of avocado toast. Obsessed, one could say. There are a few exceptions to this (these people are met with gasps of horror), but all in all, smashed avo is part of the Australian food pyramid. Most people's go-to is simple avo, salt and pepper on toast. Maybe lemon juice and olive oil join the party, and sometimes Vegemite steals the show in the best way possible. But there's so much more to do with avocado toast that go way beyond simply avocado. Not convinced? Take a look. 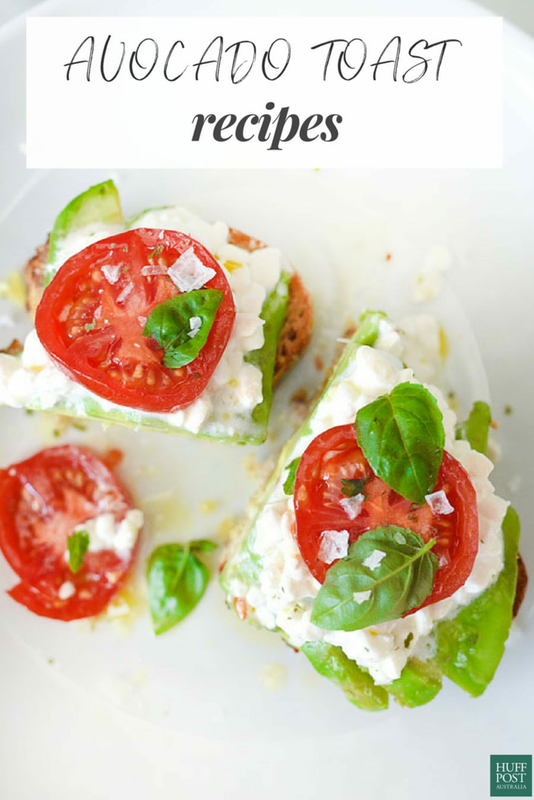 Take your standard avo toast to the next level by adding creamy cottage cheese (or mozzarella), fresh tomato, basil leaves and sea salt. It's caprese salad on carbs, which automatically makes it the best. 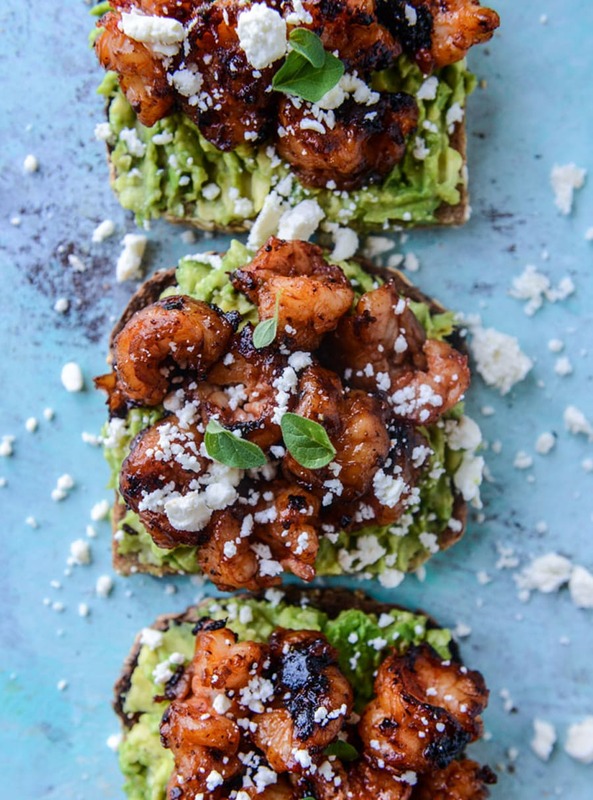 This avocado toast is a game changer thanks to its spicy, buttery barbecued prawns, lime juice and queso fresco cheese. Delicious. If you've never tried avocado married with fruit, it's time. 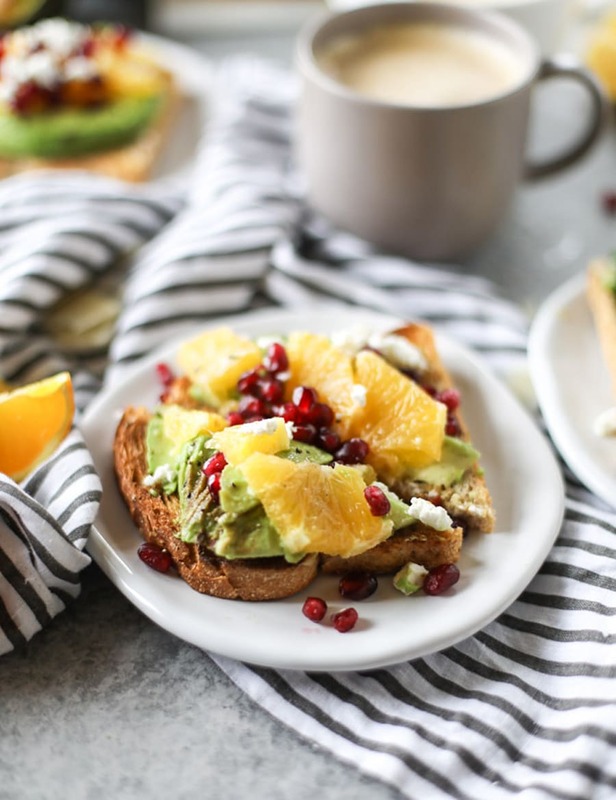 Although it may sound strange at first, the creamy, salted avocado is the perfect base for fresh fruit, like strawberries, orange and pomegranate. It's sweet, salty and creamy all in one. 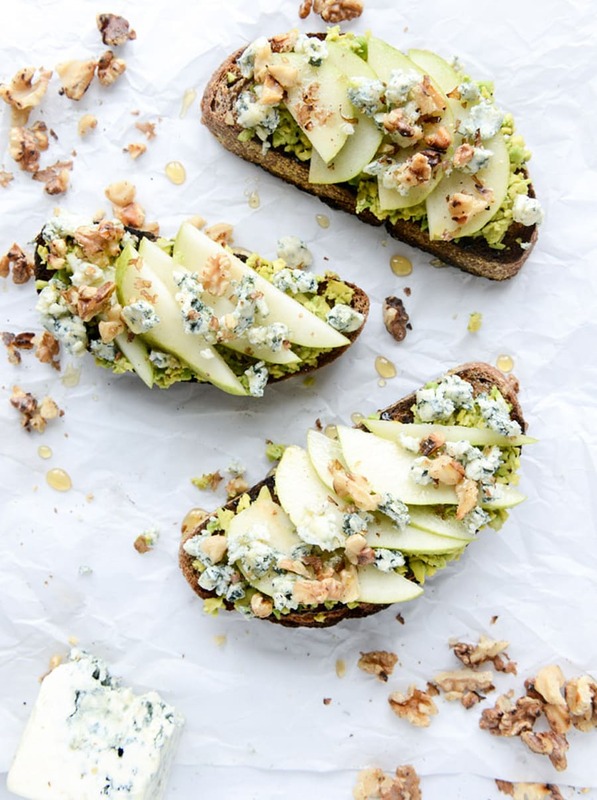 For an autumn-inspired twist, try this avocado toast topped with fresh pear, crumbled gorgonzola cheese, honey and cinnamon. It's fresh, creamy and full of flavour. 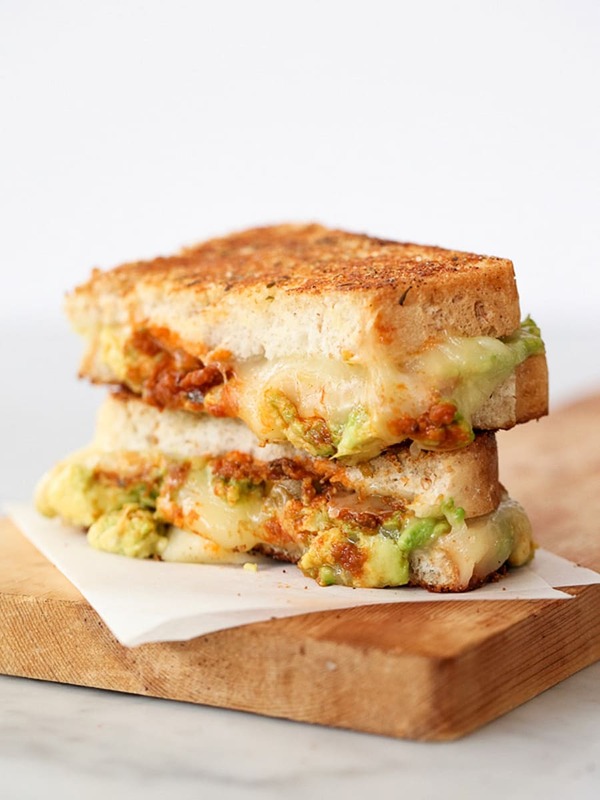 Toasted cheese and tomato sangas are an Aussie staple, and there's a few more ingredients that change the game -- avocado, herby, garlicky butter, provolone cheese and sun dried tomato pesto. It's a flavour explosion. Sometimes the best way to mix up your avo experience is by changing the bread. In this case, it's cornbread, or 'polenta bread'. The polenta adds a hearty texture, while the honey and pomegranate add sweetness. 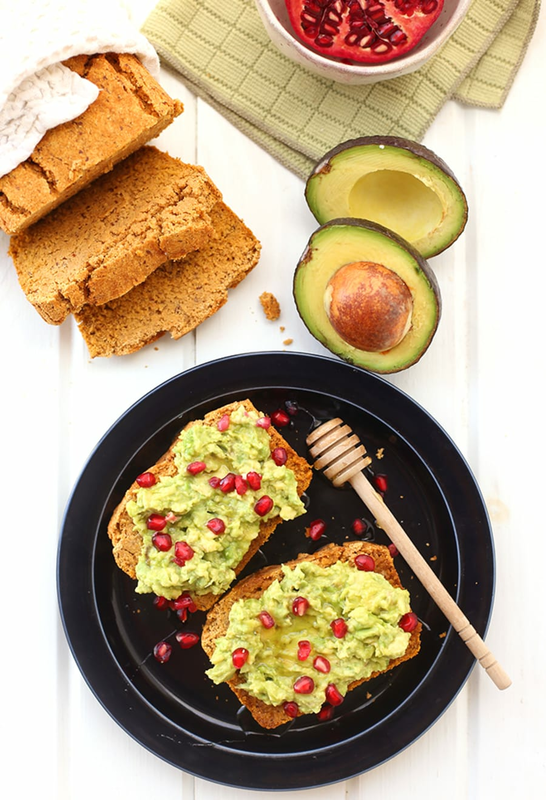 This avocado toast ticks the sweet-yet-salty boxes. 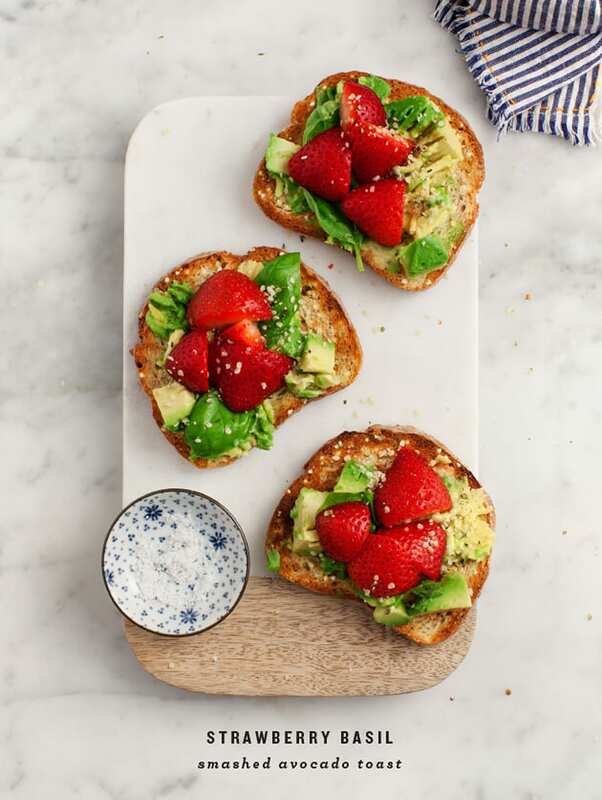 Fresh strawberries, creamy avocado, fragrant basil and salt. Finish with lemon juice and a drizzle of balsamic vinegar, and you're set.